A harmless bacteria on everybody’s skin could turn deadly but the danger it poses is not being taken seriously, scientists warn. The bacterium is becoming increasingly dangerous due to antibiotic resistance but because it is so widespread it is often overlooked. 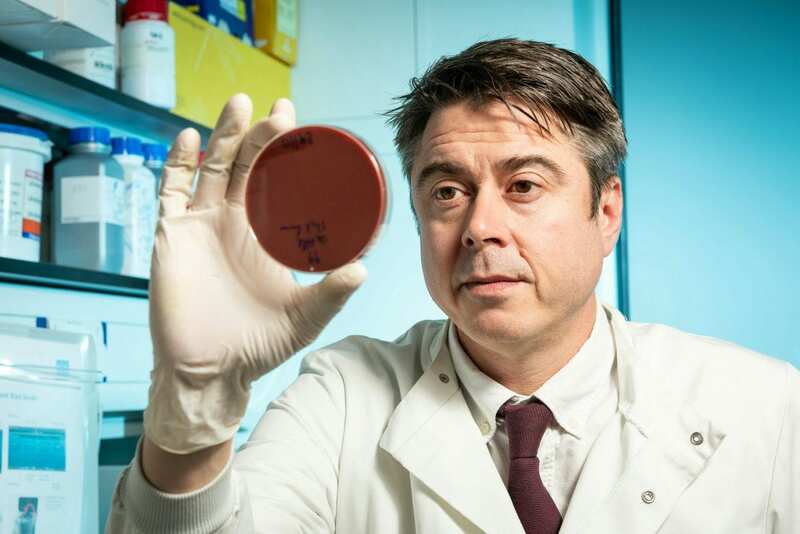 But scientists at Bath University have identified some dangerous strains of Staphylococcus epidermidis, a close relative of the superbug MRSA. Staph infections cause an infection if they get into the skin and often affect the skin and go away on their own or with antibiotics. But if it get deeper inside the body it can cause more serious infections like blood poisoning and toxic shock syndrome. While scientists have looked at the danger posed by MRSA and E. coli, Staphylococcus epidermidis has been neglected. It had been thought the skin coloniser had apparently not evolved to cause disease, but maintain the commonly benign relationship with its host. But now it is seen as an important opportunistic pathogen. Researchers from Bath’s Milner Centre for Evolution warn the threat posed by this organism should be taken more seriously and use extra precautions for those at higher risk of infection who are due to undergo surgery. They identified a set of 61 genes that allow this normally harmless skin bacterium to cause life-threatening illness. Professor Sam Sheppard said: “Staphlococcus epidermidis is a deadly pathogen in plain sight. “It’s always been ignored clinically because it’s frequently been assumed that it was a contaminant in lab samples or it was simply accepted as a known risk of surgery. “Post-surgical infections can be incredibly serious and can be fatal. Infection accounts for almost a third of deaths in the UK so I believe we should be doing more to reduce the risk if we possibly can. Researchers took samples from patients who suffered infections following hip or knee joint replacement and fracture fixation operations and compared them with swab samples from the skin of healthy volunteers. They compared the genetic variation in the whole genomes of bacteria found in samples from diseased and healthy individuals. From this they identified 61 genes in the disease-causing bacteria that weren’t present in most of the healthy samples. They found a small number of healthy individuals were carrying the more deadly form of the bacteria without knowing it. The disease-causing genes were found to help the bacterium grow in the bloodstream, avoid the host’s immune response, make the cell surface sticky so that the organisms can form biofilms and make the bug resistant to antibiotics. Prof Sheppard added: “Because the bug is so abundant, they can evolve very fast by swapping genes with each other. Professor Dietrich Mack, from the Bioscientia Institute for Medical Diagnostics GmbH, Germany, said: “Prosthetic joint replacement surgery helps many patients to live independent and pain free lives, but can take a catastrophic course through S. epidermidis infection. “These infections are difficult to diagnose and there is hope that disease-associated genes may help to separate harmless skin isolates from disease-causing S. epidermidis strains in the clinical laboratory.